To me, achievement means a fulfilling learning experience that can make a positive impact on people around you. Three years being in Seattle I managed to lead and to be a part of many purposeful projects and organizations, which I consider to be my biggest achievement. I also firmly believe that behind every achievement is a strong support and systematic team effort. So in the following paragraphs, I will introduce four important people who have helped me realize my vision and goal. First, I am very grateful for what my host mother, Donna, has contributed to my first achievement - to volunteer at a local church. Donna acquainted me with volunteering and referred me to a position at a local church when I first came to the US. I was helping out with the weekly bible study program for first graders. Coming from a non-religious family, I taught the kinds how to create a community and to share with others of different religious backgrounds through our weekly discussions. It was an amazing joy for me to come to the church twice per week knowing that I was a role model for many of them. The second person I am very grateful for is an awesome dancer, Thao. She helped me create and found C-style , the contemporary dance club at Seattle Central Community College. As a founder and president of the club, I managed to recruit 50 members of different cultures within two months. Under my leadership, C-style was performing at 3 school events and was named the student organization of the year. We were also successful with quarterly fundraising events, during each we made $1000. Not to mention, C-style functioning as a dedicate group of young dancers redefined a more postitive image for contemporary dancing at Seattle Central Community College. Even old members of C-style have transfered to different colleges and cities, we still keep in touch to remember the time when we were a family and C-style was a second home for us. Without Thao and her desire to become a good dancer, I would have not became a leader that motivated her peers to never give up on their dreams. I also want to thank is my mentor, Masa, at Seattle University. He taught me how to become a leader and what leadership entails. Through working with him on many high profile events, such as The International Dinner, I have improved my event planning skills and time management. I will never forget the last Friday in Janury 2010 before the International Dinner, when we stayed up all night to cook and prepare last steps for this event of 600 guests. It was a day of my midterm and one of the most challenging period thorough my whole college years. On top of taking four major classes, working part-time, I devoted every free minute I had to the event. As a chair of the entertainment committee, my tasks included finding entertainment groups, negotiating prices, assisting performances during the event and rehearsing with performers. I also ensured that the entertainment committee started early November so that we can deliver the best results. And all the hard work was paid off as many attendees reported on surveys that it was one of the best events at SU. After the event, Masa came to me and said :" A good leader is the one who knows how to delicate tasks so that the whole team can work effectively." 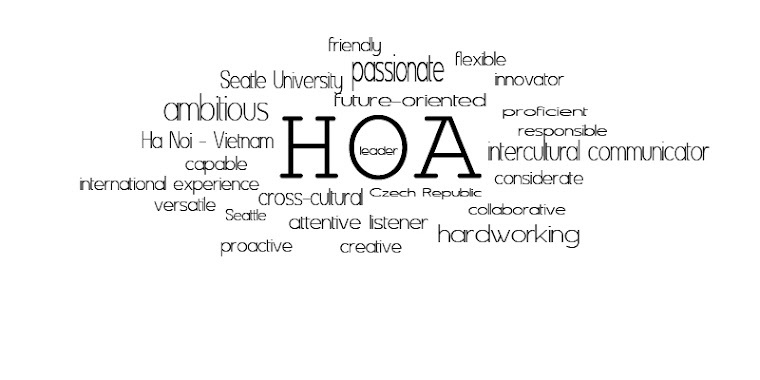 And there is where I realized what have I achieved during my first quarter at Seattle University. The last person I want to say thank you is Yanyan, an inspirational young woman. 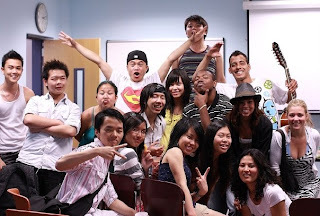 Along with Yanyan I was leading the International Club at Seattle University. In February 2010, I was wondering why there was no organization that can connect students coming from foreign countries with American students at Seattle University. 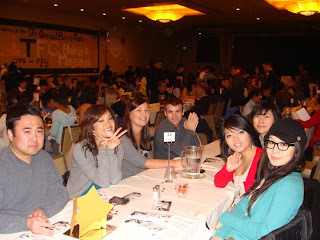 I, then, as a member of the school government, decided to start the International Club with a mission of strengthening cross-cultural friendships between Seattle University students. 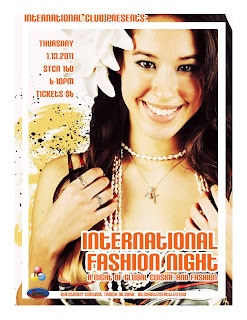 Besides monthly events, like cooking demonstration, salsa dancing, field trips, the International Club had marked its name with a very successful event The International Fashion Night, which had 30 volunteer models, 40 cooking volunteers and 120 guests. Working closely with Yanyan on these events, I enhanced my soft-skills in communicating with people. And there are many, many other individuals that I want to say thank you for helping me achieving my goals during the last 3 three in college. It was an amazing adventure with many eye-opening lessons and breath-taking moments. I hope my future journey will continue with new admirable friends, coworkers, supervisors and mentors, who will play the key role in my accomplishments.